New Directions Publishing Corporation, 9780811215428, 240pp. Thomas wrote his last poem, "Prologue," especially to begin this collection, and addressed it to "my readers, the strangers." 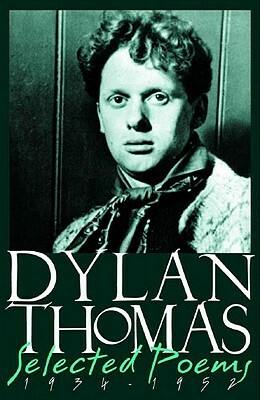 Two unfinished poems are included in this edition: "Elegy," prepared by Vernon Watkins, and "In Country Heaven," prepared by Daniel Jones--both Welsh poets were life-long friends of Dylan Thomas. Textual corrections discovered over the course of forty years have now been incorporated, and a complete index of titles and first lines, as well as a brief chronology of the author's life, have been added. As it has for half a century, this book includes the best of Dylan Thomas's poetry--"Light Breaks Where No Sun Shines," "The Force that Through the Green Fuse Drives the Flower," "And Death Shall Have No Dominion," "Poem in October," "Do Not Go Gentle into that Good Night," "The Hunchback in the Park," "In My Craft or Sullen Art," "In Country Sleep," and Thomas's poignant reflection on his youth, "Fern Hill.